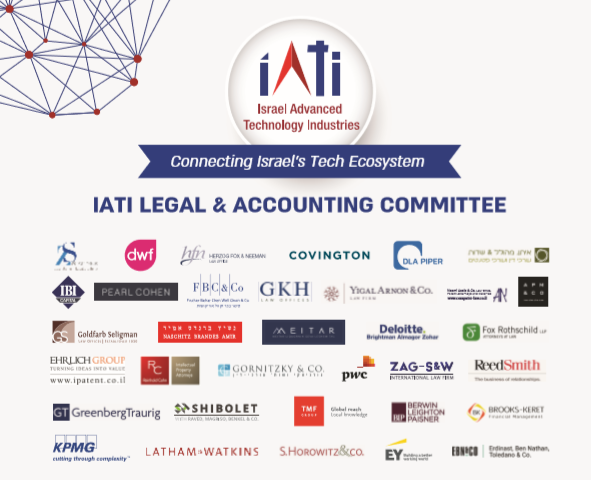 Led by Ayal Shenhav of Shenhav & Co., this committee incorporates the managing partners of the high-tech departments at the leading law firms in Israel. The committee addresses and promotes legal matters of common interest to the industry, such as creating model legal documents for use by start-ups, providing English translation of common legal forms, illuminating the industry's interests to public authorities such as the Patent Registrar, Companies Registrar, Tax Authority etc., and providing enrichment programs for entrepreneurs. Click for the Committee's one pager.